Launceston Tasmania is an old place. 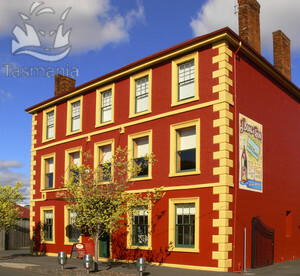 Third-oldest city in Australia, Launceston is the commercial centre of northern Tasmania. It has recently become more popular with travellers since the opening of a few new museums, and there are many city parks, the beautiful Cataract Gorge, Boag’s Brewery and Beer Lovers Centre, and plenty of accommodation and restaurants. Here is some information about the city, and in the end is the page is a map of Launceston. The city centre of Launceston is in the blocks around the Brisbane Street Mall and the central Civic Square. On the Civic Square, there are a few churches, library and Town Hall. South of it is the central shopping Mall and Quadrant Mall. Further south is Princes Square; and Franklin House. West of the Civic Square are Royal Park, Kings Park, Penny Royal World and the Royal Park site of the excellent Queen Victoria Museum and Art Gallery, with a planetarium, and exhibitions about Australian animals, Tasmanian Aboriginal People and Chinese immigrants. The other, northern brach of the same museum is north of the North Esk River in the Inveresk Railyards where there is an art gallery with Aboriginal jewellery and stories. West of the city centre is the beautiful Cataract Gorge where Tamar and South Esk Rivers meet. It is only 10 minutes walk from the city, and it’s very popular with picnickers and bushwalkers. There is a wildlife reserve, a swimming pool, a suspension bridge, and a few good walking tracks. Cataract Gorge. By AllPosters. Click on thumbnail to buy. North-east of the city centre are the Old Umbrella Shop, Yorktown Square and City Park. The Old Umbrella Shop in an old historical building still sells old umbrellas. In the city Park there is a Monkey Enclosure, and plenty of walking tracks. Further west is the National Automobile Museum of Tasmania with some classic cars and vintage motorcycles. Clock Tower. By AllPosters. Click on thumbnail to buy. In the northern end of George Street are the Boag’s Brewery and the Boag’s Centre for Beer Lovers, where you can go on 1.5 hours tours and sample the products that have been brewed here since 1881. 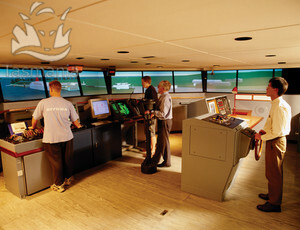 Further north is the Australian Maritime College – the most famous of Launceston’s educational institutions. Town Hall. By AllPosters. Click on thumbnail to buy. There are a few restaurants in the blocks south of the Brisbane Street Mall, like Hari’s Curry, Morty’s Food Hall, Sushi Shack, Metz and Pasta Resistance Too. 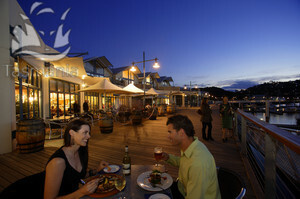 But a dinner with best views is in the old Launceston Seaport, on the bank of North Esk River. Lounge Bar and Royal on George are nice for a drink. By Ron Brown. ©Tourism Tasmania. All Rights Reserved. There are many places to stay. Hotels and motels include Auldington Hotel, Batman Fawkner Inn, Best Western Abel Tasman Airport Motor Inn, Best Western Balmoral on York Hotel, Clarion Hotel City Park, Commodore Regent Hotel, Country Club Hotel, Country Comfort Coach House Hotel, Elphin Villas Hotel, Grand Chancellor Hotel, Hargate Hotel, Hartherley House Hotel, Hotel Charles, Mercure Hotel, Mews Motel, Olde Tudor Motor Inn, Peppers Seaport Hotel, Quality Hotel Colonial, Quality Inn Edenholme Grange, Riverside Hotel Motel, Sandors on the Park Hotel, Sebel Hotel, Tasmania Hotel, The Old Bakery Inn, Village Family Motor Inn and Waratah on York. 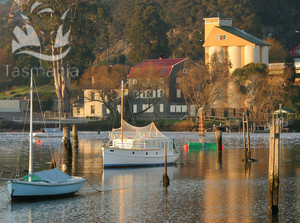 Holiday apartments include 69 on Arthur Street, Adina Place City View Apartments, Alanvale Apartments and Motor Inn, Esk Apartments, Highbury Apartments, Launceston Apartments, Leisure Inn Penny Royal Hotel Apartments, North Lodge Apartments, Quest Serviced Apartments, The Edwardian Apartments, The Lido Botique Apartments, Two Four Two Apartments and York Mansions Apartments. Bed and breakfast accommodation includes Airlie on the Square B&B, Ashton Gate Bed and Breakfast, Atrium Apartment Bed and Breakfast, Egremont Bed and Breakfast, Fionas Bed and Breakfast, Hillview House Bed and Breakfast, Kurrajong House Bed and Breakfast, Trevallyn House Bed and Breakfast and Werona Heritage Bed and Breakfast. Other accommodation includes Alices Cottages Spa Hideaways, Country Club Villas, Haven House, Strathesk House, Tamar River Villas and Windmill Hill Lodge. By Bob Iddon. 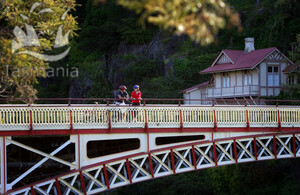 ©Tourism Tasmania. All Rights Reserved. If you are around in mid-February, don’t miss the Festivale – a three-day food, wine and arts festival in the City Park. By Rob Burnett. 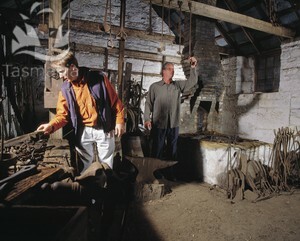 ©Tourism Tasmania. All Rights Reserved. Here's a map of Launceston where I have tagged the places that I mentioned on this web page. You can click on the tags to see what places they are, and double-click anywhere on the map to zoom it in and see the places closer. Drag the map to move around, and if you want to see the satellite image with Google Earth, click on "Sat" in the top right hand corner.